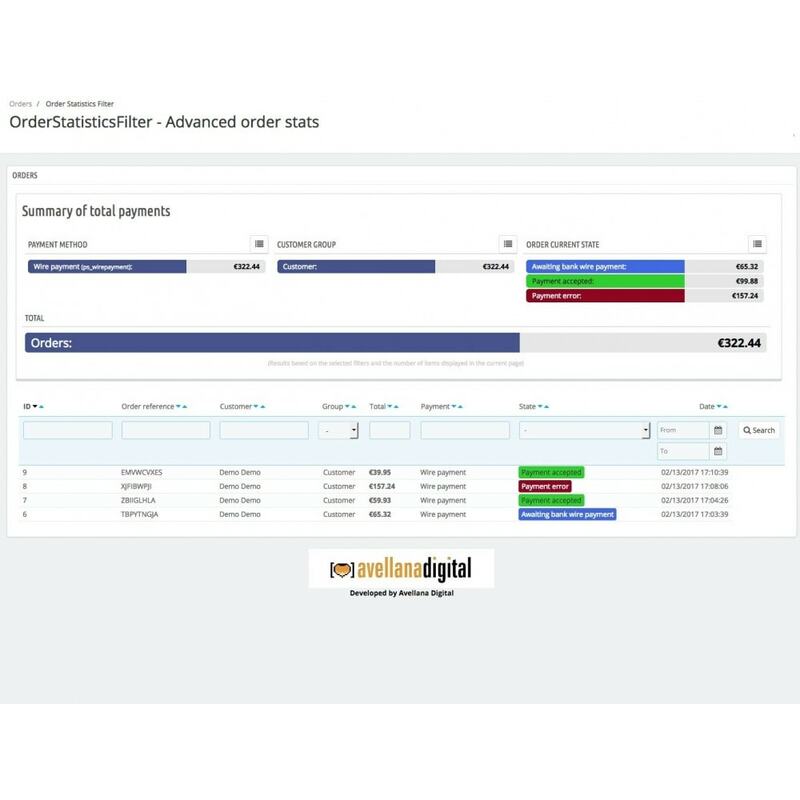 The module allows you to see the total sales per Payment Method, Client Group or Order Status according to the dates you provide. The information shows up in an intuitive table which is updated by filtering the list of orders. You can easily see the total sales made during a specific period or, for example, the total sales marked as “Waiting for transfer” to know how many orders are still pending payment. 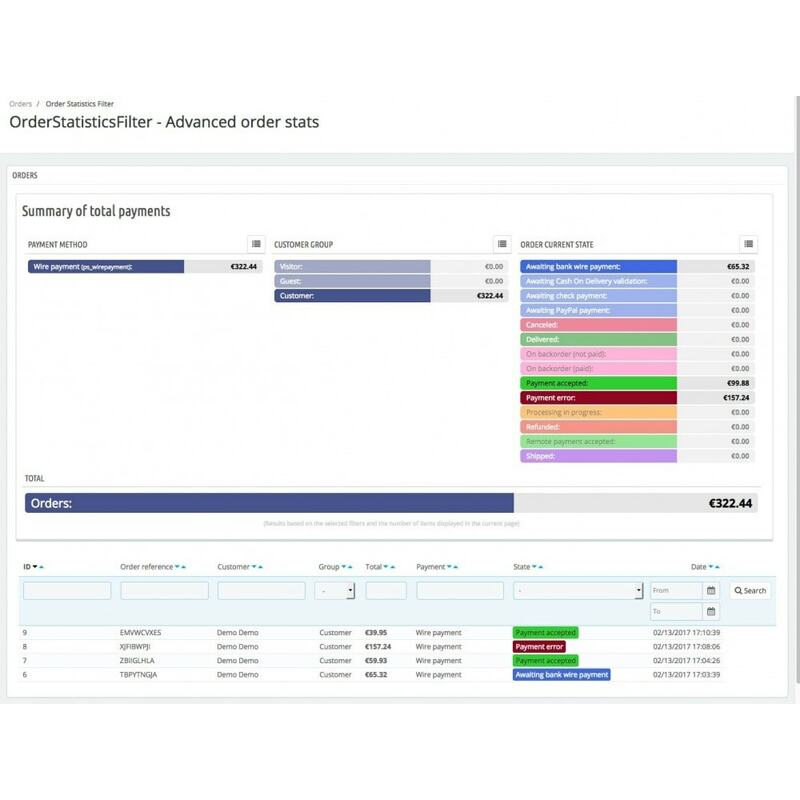 You will also be able to compare the turnover between different client groups, such as final clients and shops, in order to know where most of your sales/profit comes from. In the list that appears in the lower part you can filter by “Group”, “Status” and “Date” and the information regarding the total amount for each order will appear in the upper part. The columns in the list can also be organized in ascending or descending order. There is the possibility of showing 20, 50, 100, 300 or 1000 results. Il primo modulo di registrazione dei gruppi di clienti offre tutte le funzionalità necessarie per gestire i gruppi di clienti e consente a loro di selezionare durante la registrazione un gruppo a cui partecipare. The main folder in the module must be uploaded to the “modules” root directory through FTP or by uploading the compressed file to the module manager from Prestashop. 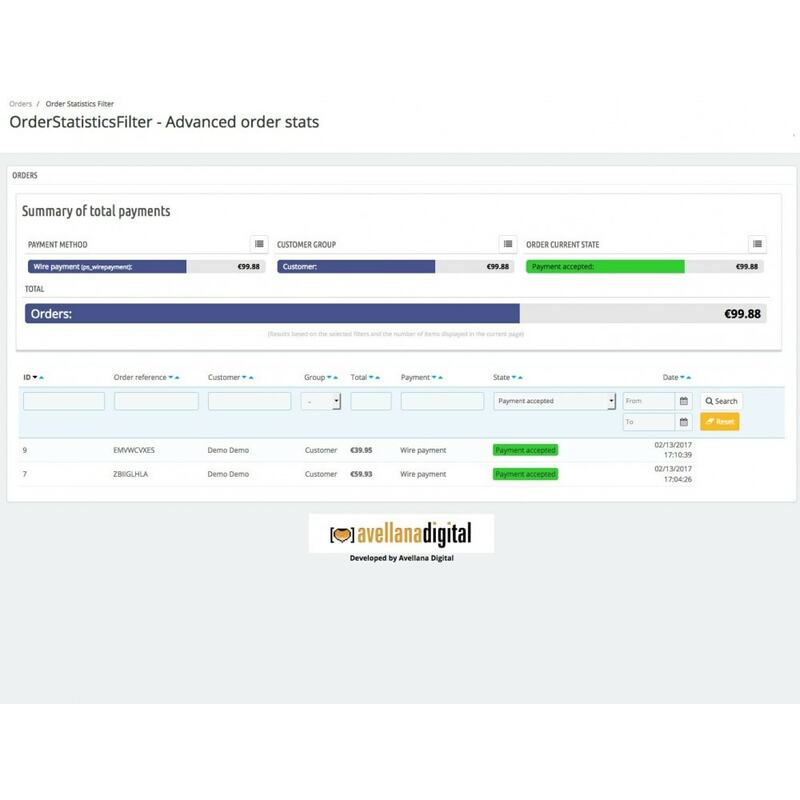 Once it has been loaded and installed, the module can be used by accessing the configuration parameters or by clicking on the menu “Orders > Order statistics filter”. In the folder “documentation” you will find all the information required on how to use the module.